Mobile device software has improved rapidly over the past decade. Today, cell phones are practically a necessity in daily life. With this in mind, many marketers are realizing the benefits of mobile advertising to help keep their campaigns relevant to their target audience. 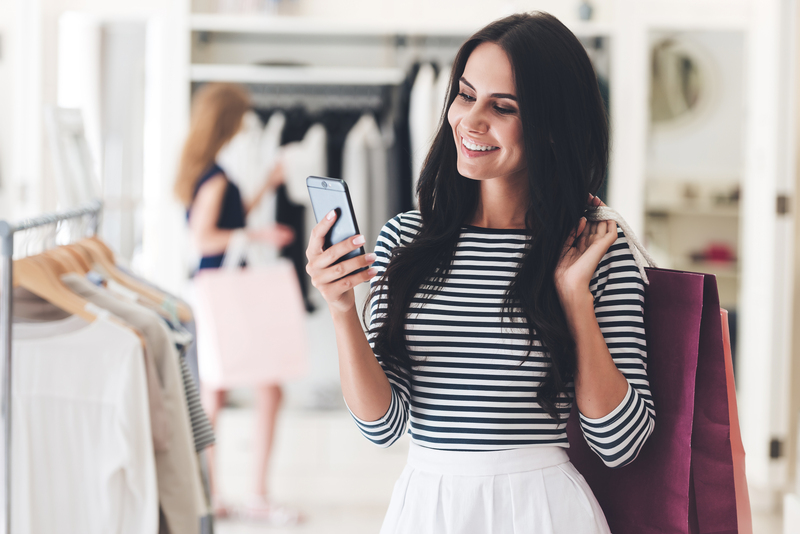 If you’re looking to improve your marketing campaigns with increased customer engagement rates, consider this list we’ve compiled to outline the top eight benefits of mobile advertising. 1. Accessibility: People are constantly refreshing their daily social media apps, email, and online sites through their mobile device. In order to stay relevant amongst other marketers, it is important to deliver your campaign straight to where your consumers are interacting most – their cell phones. It is inefficient to deliver a campaign strictly to a user’s desktop when chances are that he or she will not receive it for several hours until sitting down at their desk. By understanding accessibility benefits of mobile advertising, you can ensure that your messages are easily accessed by every user. 2. Growing industry: According to Pew Research Center, nearly two-thirds of Americans own smartphones. That number is expected to increase. Marketers need to capitalize on these user tendencies and begin to focus campaigns on mobile advertising. The data is clear: Americans love smartphones. All you need to do is adapt your campaign to fit that. 3. Location-based: This benefit of mobile advertising can open your campaign up to deeper consumer insights. Because people tend to keep their cellular device with them throughout the day, you will be able to take advantage of its geo-targeting abilities and deliver relevant, location-based advertisements straight to their phone. By analyzing user habits, such as shopping tendencies, marketers know what shops their consumers tend to frequent. When they are in close proximity to that store, an advertisement can be delivered right to their fingertips. 4. Deterministic matching: Each mobile device contains a unique mobile ID that can be directly tied to the offline and online consumer habits of that mobile user. Utilizing this metric can connect data points between user propensities, dramatically enhancing your marketing campaign. oneAudience does just this to create a rich profile of information for each targetable user. Incorporating the user habits of your target audience will make your campaign that much more targeted. By deterministically linking your present audience data to new mobile metrics, you can boost the accuracy, relevancy and targeting ability of future campaigns. 5. Eliminate Fraud: Incorporating mobile into your marketing efforts will ensure that you are driving out any threat of marketing fraud. In short, there are billions of Internet bots hidden across the internet that hackers use to create fraudulent impressions on advertisements and sell back to the marketer. These internet bots are very tricky to detect, making it almost inevitable that your campaign may cross one. Luckily, though the implementation of mobile data, you will be able to identify human entities through their mobile device ID. Once you have deterministically linked your offline and online data to a unique mobile ID, you can ensure that you are targeting a verified user – not a bot. Incorporating mobile data into your campaign will ensure that you are completely eliminating the fraud and targeting only human entities. Your mobile advertisements will be delivered to real, verified users. 6. Costs: Another one of the benefits of mobile advertising is that it is a cost-efficient way to reach your target consumer. At just a fraction of the cost of television or radio advertising, mobile advertising is a smart solution to enhance your marketing efforts. With its low cost, you will be able to send repeated messages or retarget consumers knowing that you will gain more revenue than you’re expected to lose. 7. More Personal: By incorporating mobile advertisements into each of your marketing campaigns, you will be able to tailor each one to the mobile user’s preferences. In addition, loyal customers can utilize mobile apps to increase intimacy with their preferred brands. Consumers can follow, like or connect with companies across social platforms. 8. Wide range of creative options: Mobile advertising allows you to utilize social media, apps and mobile websites to target your consumers. Just a few examples include in-app ads, mobile banners or pop-up advertisements. Mobile devices have a plethora of components you will be able to utilize as a marketer in order to ensure that your advertisement makes an impression on your audience. The benefits to mobile advertising are endless. By incorporating this unique tactic into your future marketing campaigns, you will be able to enhance your targeting abilities, advertisement impressions, and campaign success.